Instead of getting flabby in the off season Speed and Strength has bulked up their helmet offerings for 2013. One of their New Years resolutions must have been to add flexibility to their training regime and the new Speed and Strength SS2200 Solid Speed Helmet has that for sure. Full face, three quarter, the choice is yours with the removable Chin Bar. The internal drop down sun visor helps to cut glare or mask your identity. While the Solid venting and an aggressive profile will keep you looking like a boss on your favorite ride. 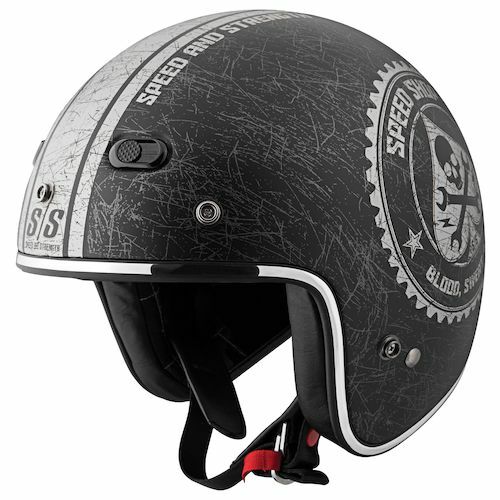 If you want to rock subtle S&S graphics you can opt for the Speed and Strength SS2200 Spin Doctor Helmet. Not bad for under $200. With flexibility checked off list it is time to open things up a bit. Thinking about going with a half helmet and can't figure out what sunglasses to wear with it. 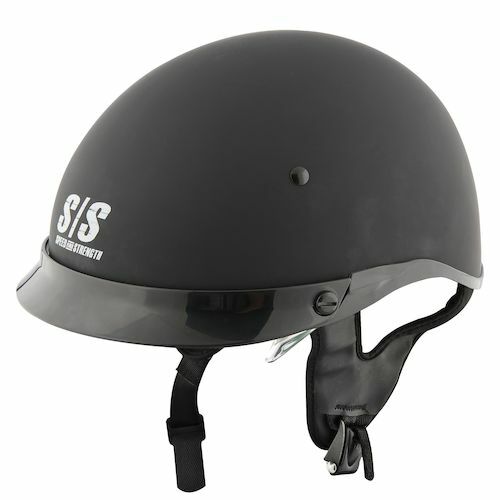 The Speed and Strength SS400 Solid Speed Helmet is the answer. Built in drop down sun visor lets you leave the glasses at home. Dot sticker, "check", Quick release chin strap, "check". If you are looking for graphics the Speed and Strength SS400 Hard Knock Life Helmet will bring out your inner thug. If your prefer old school Venice Beach lifting to group exercise class. 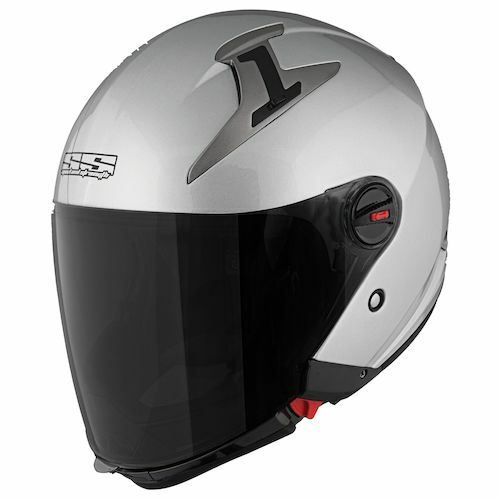 The Speed and Strength SS600 Speed Shop Helmet is for you. It looks at home on a bobber or slammed rat bike. Quilted interior should keep you comfortable on long cruises and the "Airstrike" venting system should help to cool things down. There will also be a Speed and Strength SS600 Back In Black Helmet for those of you who follow the Johnny Cash dress code. So there you have it. All this talk of training reminds me that I have to hit the gym.